Whether you prefer a tangy lemon crème fraîche, a decadent cheesy delight, or an elevated casserole dish, we’ve found ten of our sauciest recipes for you to enjoy. Keep the sauces coming! 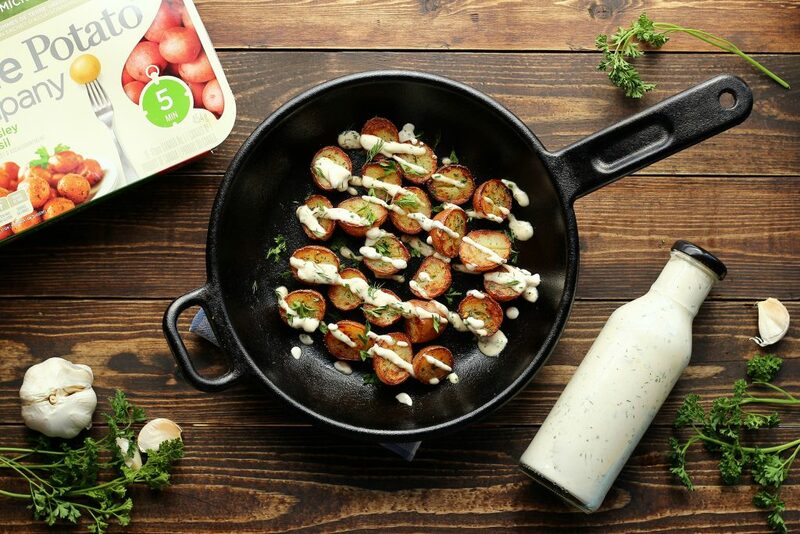 This all-in-one meal has everything you need for a sweet and savory dinner. 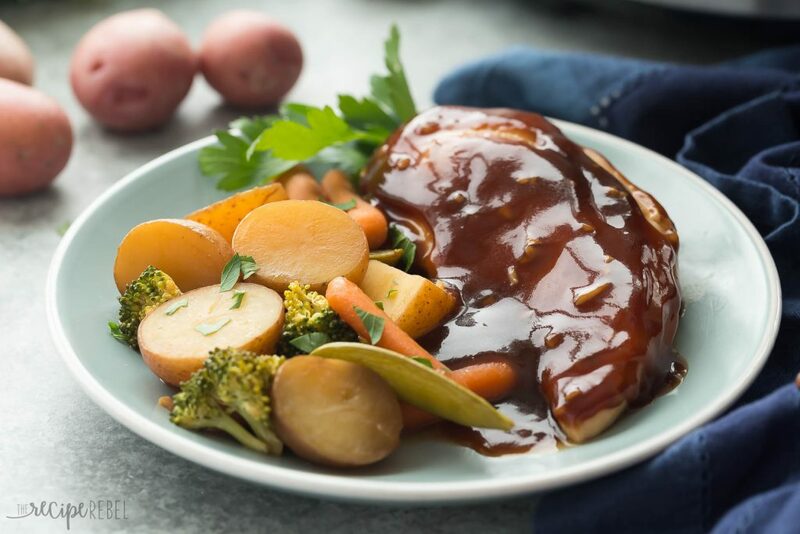 Tender chicken covered with a homemade honey garlic sauce, with some nutritious veggies on the side. Love cream of mushroom soup? 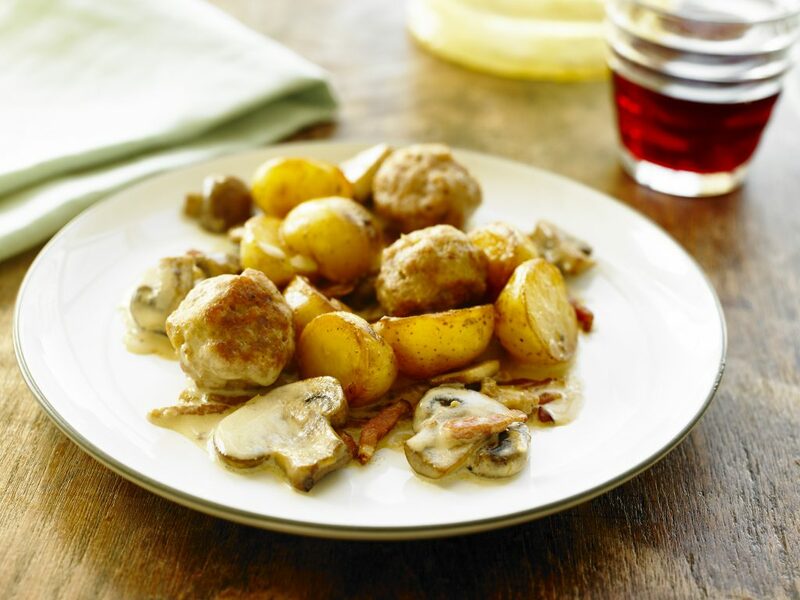 Now you can enjoy it as a rich, comforting side that’s bulked up with Creamer potatoes and even more mushrooms. 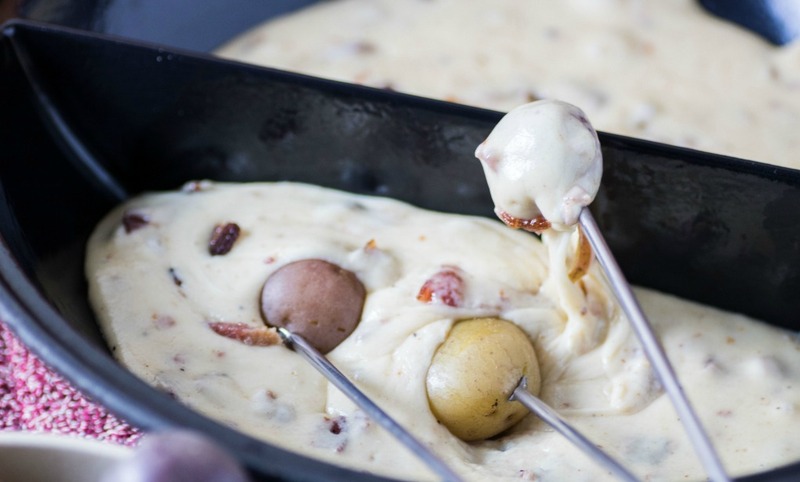 Dijon mustard, butter, and cream peppered with minced bacon create a decadent sauce for this casserole. 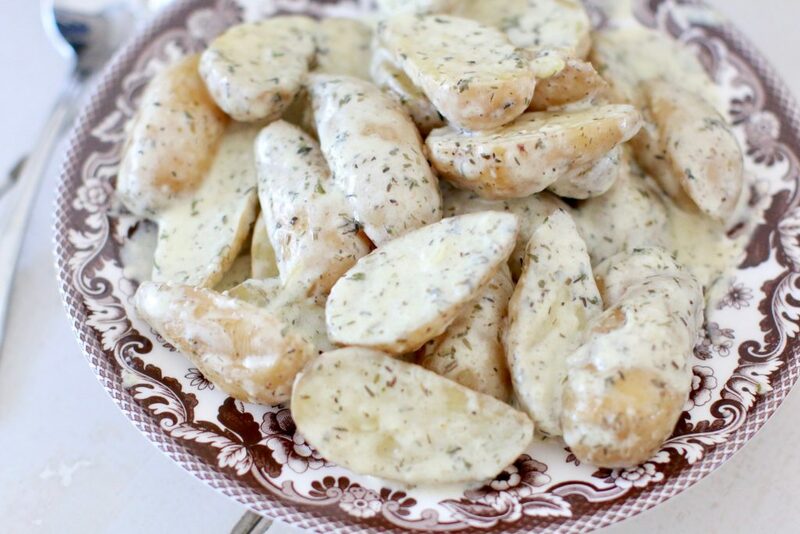 Great for those who want a dairy-free option, this side dish features homemade ranch dressing that you can customize and substitute with ingredients you prefer. 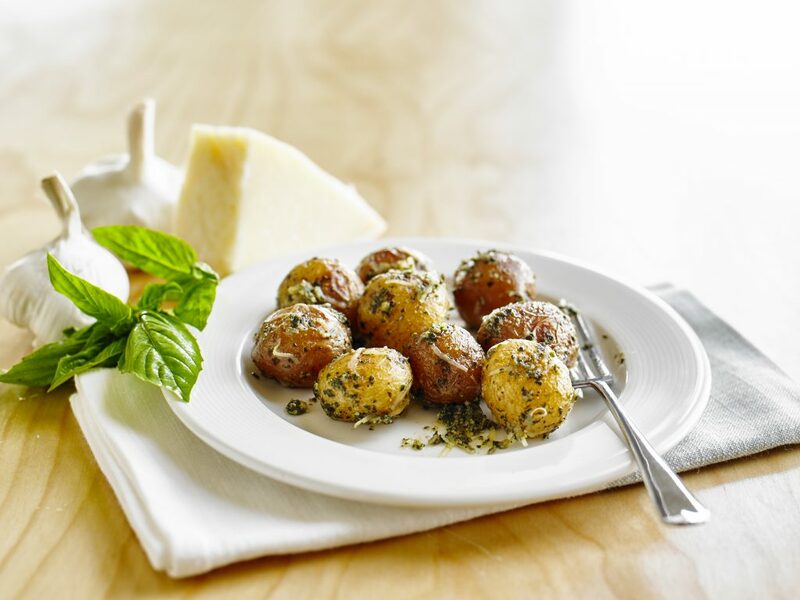 Elevate your standard roasted potatoes recipe by adding a few simple ingredients like Parmesan and fresh basil. 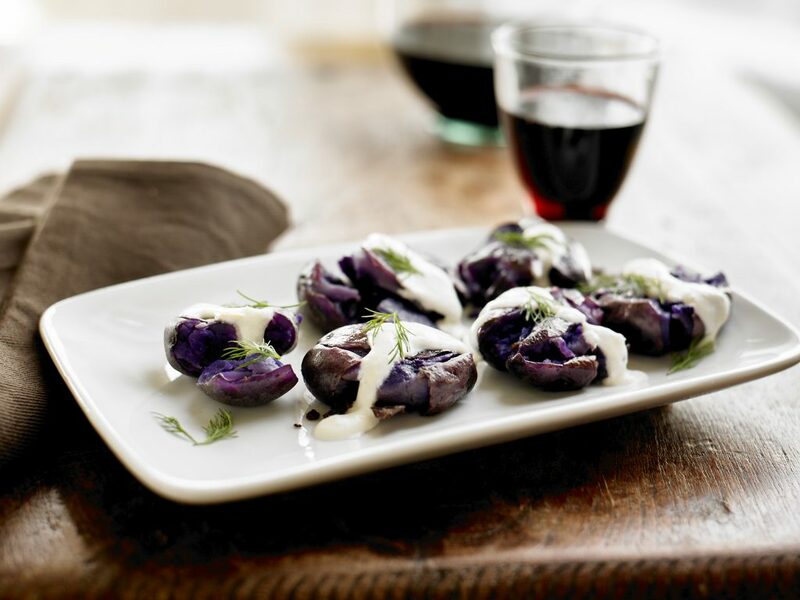 Creamy, fresh dill sauce adds a tangy layer to Something Blue Little Potatoes in this elegant appetizer. Ready in under 30 minutes, it’s easy to prepare and can be whipped up in a flash. 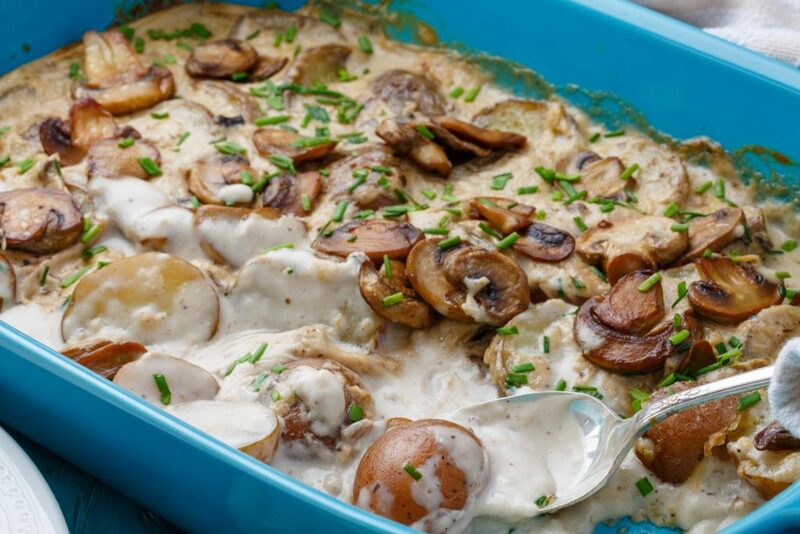 Smother some fingerling potatoes with heavy cream, white cheddar cheese, and some choice spices to make this delectable side. Dip into this rich party appetizer that’s inspired by a loaded baked potato with all the fixin’s. 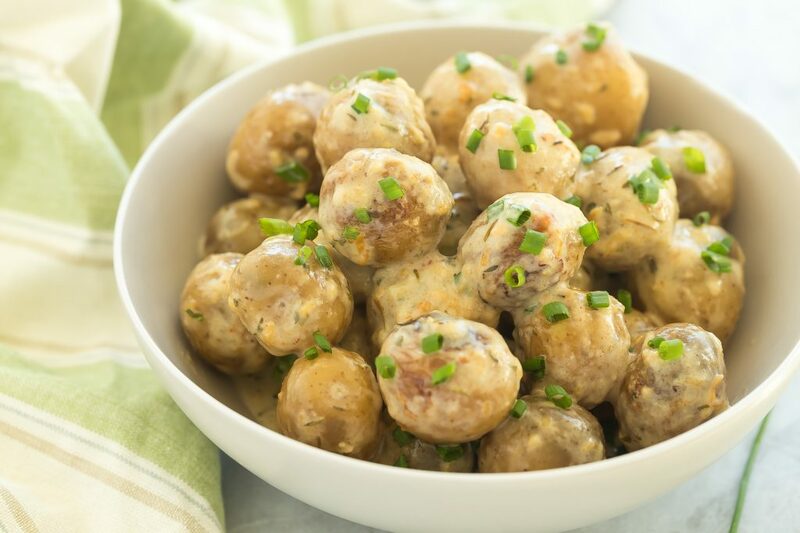 Magic seems to happen inside of your slow cooker when you combine the powers of cheese and Little Potatoes. Comfort food doesn’t get much easier than this. 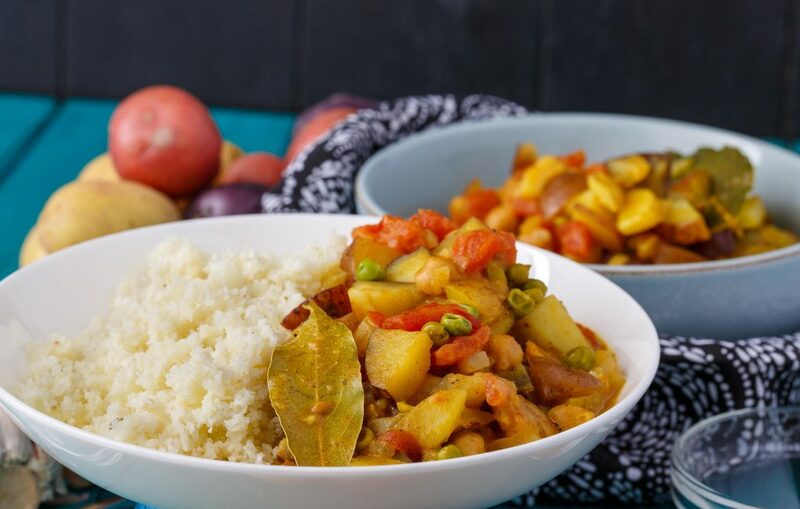 To get more tips on nutritious eating, plus find new delicious and healthy recipes, sign up for our monthly newsletter. 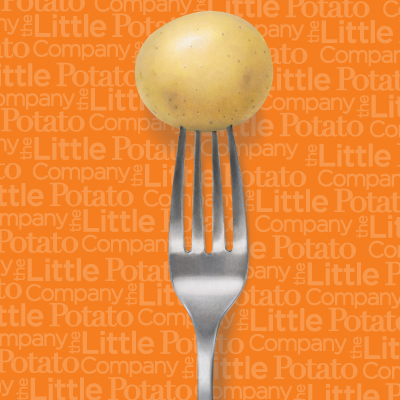 And join the social media conversation @LittlePotatoCo! If you have questions, comments or quips, don’t hesitate to get in touch: [email protected].